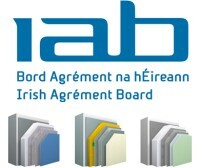 IAB certificates establish that the certified products make up a "durable, long lasting system" suitable for their intended use for residential buildings under Irish site conditions, and in accordance with the Building Regulations 1997 to 2002. Certification confirms that all three Sto external wall insulation systems have an assessed durability of at least 60 years. Sto Facades Product Managers Kevin Davies said: "We are delighted that our StoTherm Classic, Vario and Mineral systems have been awarded Irish Agrément Board certification. This is an invaluable third party endorsement of the performance and durability of our systems, which will give housing developers and specifiers additional confidence in their suitability for the Irish market." Depending on the thickness of insulation used, StoTherm Classic and StoTherm Vario can provide a U-value of 0.16W/m²K, while StoTherm Mineral can provide a U-value of 0.21W/m²K. In addition to excellent thermal efficiency, StoTherm Classic systems offer outstanding impact resistance of up to 40 joules, provided by a range of reinforcing meshes combined with an impact-resistant reinforcing coat. StoTherm Vario and Mineral systems have been assessed for residential buildings above 18m (up to a voluntary maximum of 45m) due to their superb performance in fire testing. They are available in a range of 493 colours from the StoColor System. All the StoTherm systems assessed are suitable for use in residential or non-residential buildings, and the IAB certification includes a range of detailed system specifications covering both adhesive and mechanical fixings on buildings up to 18 metres (six storeys), and buildings above 18 metres.